Onur Senturk is a multidisciplinary artist and title designer based in Los Angeles, California and Istanbul, Turkey. 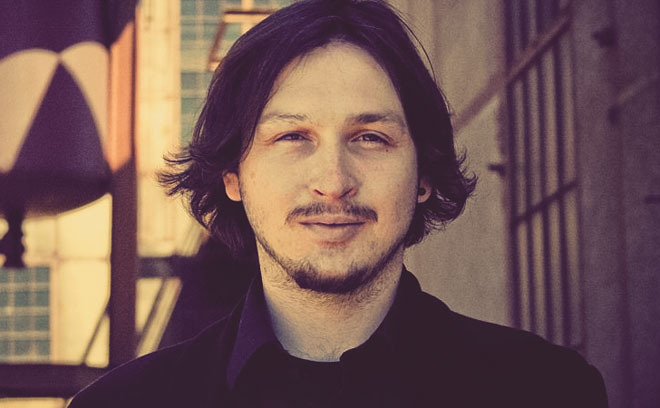 Onur has worked at Prologue Films, collaborating with Kyle Cooper, Danny Yount, and Garson Yu. He produced concept and typography designs for the opening titles of The Girl with the Dragon Tattoo at Blur Studio, which received a D&AD award for outstanding achievement in cinema title sequences. He has also directed spots and music videos for brands such as Unilever and EMI. In 2010, he completed Nokta, a short experimental film and in 2011, he completed another short film entitled Triangle, featuring artwork by Robert Knoke.